Ask me what I want to go with a Sunday roast, and I'll say kale. Ask me what I fancy putting in a soup, and I'll say kale. Sometimes, when my husband asks me what I'd like for supper, I reply with "kale" which probably isn't the most helpful answer. Kale, as you can see, is my number one veg. I recently visited Kim, one of my favourite people in the world. She gamely endured me piping on about kale for what probably seemed like a lifetime before I told her about my homemade kale crisps. This perked her up. "How do you make them?" she asked. It's unbelievably easy. 1. 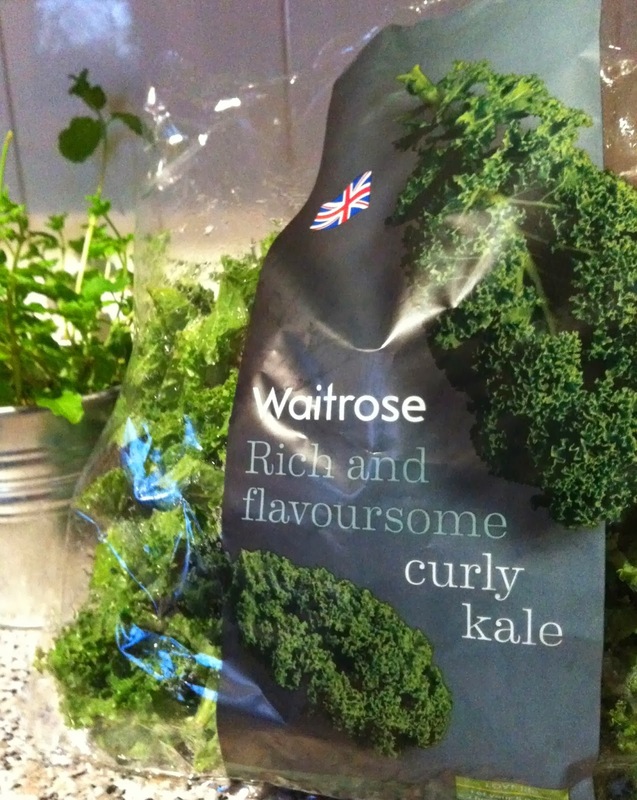 Get a bag of curly kale. Ready chopped makes things easier. 2. Preheat oven. Fan 140 works for me. 3. 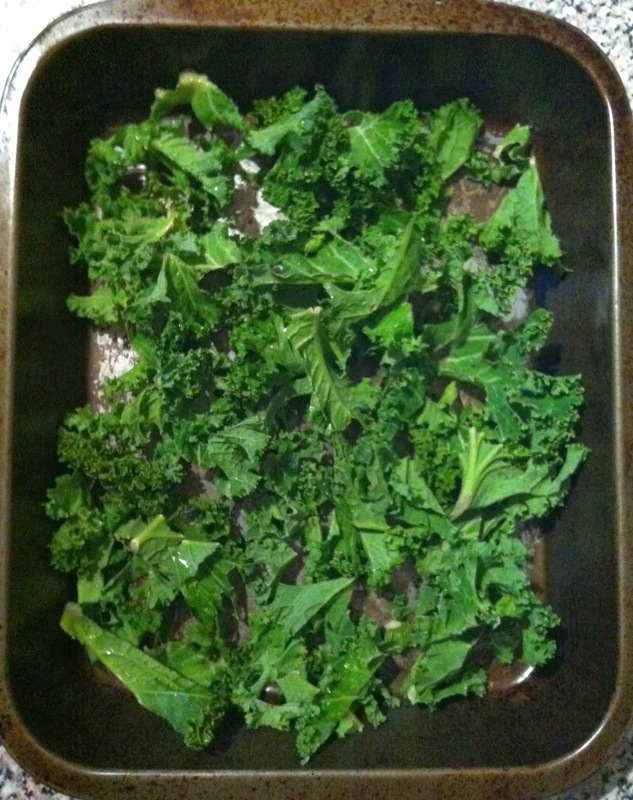 Spread kale evenly on a roasting tin. I used 100g here. 4. Drizzle with a BIT of olive oil, you don't want them to be greasy. 5. Sprinkle on whatever the heck you fancy. I add sea salt and chilli flakes. 6. Oven up to temp? BUNG IN THE KALE. 7. Check after 10 minutes. 10 to 15 minutes is a good ballpark* and keep an eye on them, you want the kale crispy, not burnt. 8. Remove from oven. 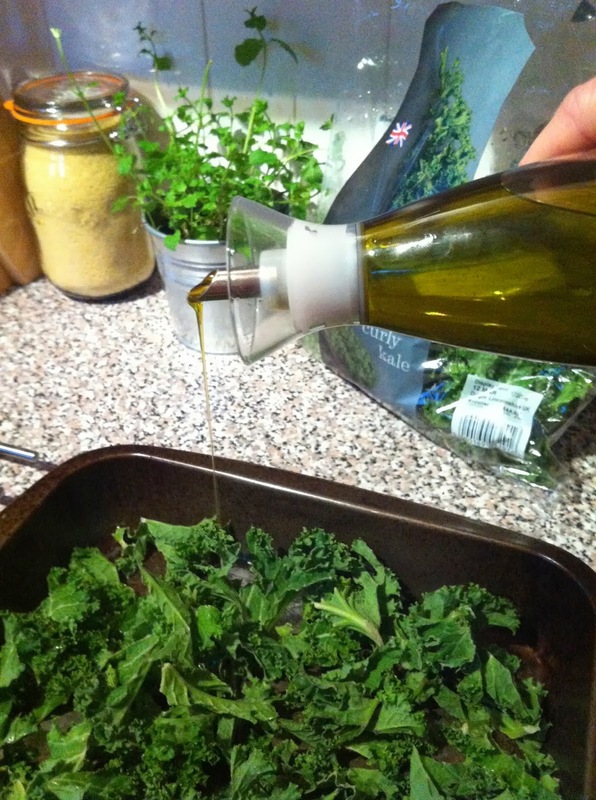 If you're feeling healthy, drain off excess oil off by placing the kale on some kitchen towel. 9. Fellow glutton? Yes! Put straight in a bowl and scoff the lot. Ta da. These are delicious, make a decent mid-week snack if your 80/20ing, and there are around five zillion reasons why kale actually is the best thing ever. Calcium! More vitamin C than carrots! Practically NO fat! Hardly even a calorie! I'm off to write a poem about kale. *anyone else suddenly finding the word 'ballpark' hilarious? Just me? Oh. 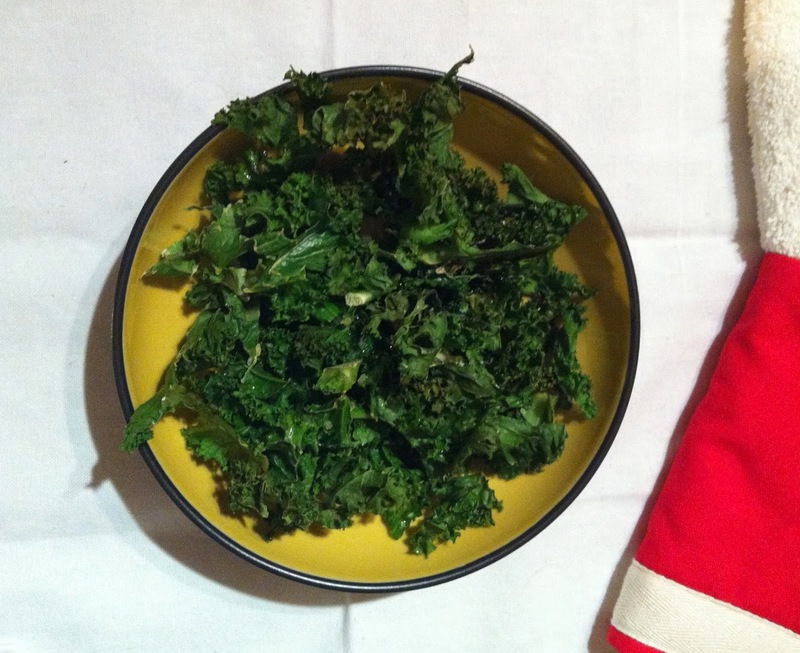 Wanted to do kale crisps tonight... so came back to check your recipe. About to pop the little beauties in the oven! OMG THIS IS THE MOST DELICIOUS WAY TO EAT KALE! even my vegetable-phobe husband wolfed it down!